Thank you, Craig, for letting me visit today. Hi, Craig’s followers! Stick around, because not only is Story Empire giving away prizes during this tour, at the end of this post, I’m going to have a deal for you, too. So, how many of you remember bookmobiles from your childhood? I have fond memories of library time in elementary school, when once a month the bookmobile would drive in, and instead of us going to the library, we’d get to go out to the playground, look through the wonderful selection of books that rolled up to our door, and make selections that we otherwise wouldn’t have access to. Other kids looked forward to recess or gym class. I looked forward to music, art, and library time. Particularly Bookmobile Day. I’ve always had an affinity for the arts, and that hasn’t changed. Even my career finds me working with words, graphics, and sometimes music (when I create book trailers). Isn’t it great that we had such resources as kids? Why not as adults, too? As you may already know, we Story Empire authors have decided to restore the bookmobile concept. We’re all taking our work and going on the road, traveling to different sites and letting readers see a new and different selection of fiction—the Story Empire Roadshow. To that end, today I’d like to introduce you to my Medici Protectorate series. This series is dear to me for many reasons, and I’m happy to get to take it on tour this week. Francesca discovers she is the secret legacy of the Medici, prophesied to return Italy to its former glory. Targeted for assassination and ignorant of her enemy’s identity, she is forced under the protection of Gianni, a warrior destined to defend her. As their worlds collide in passion and violence, Gianni will need to conquer his demons in time to save them both. 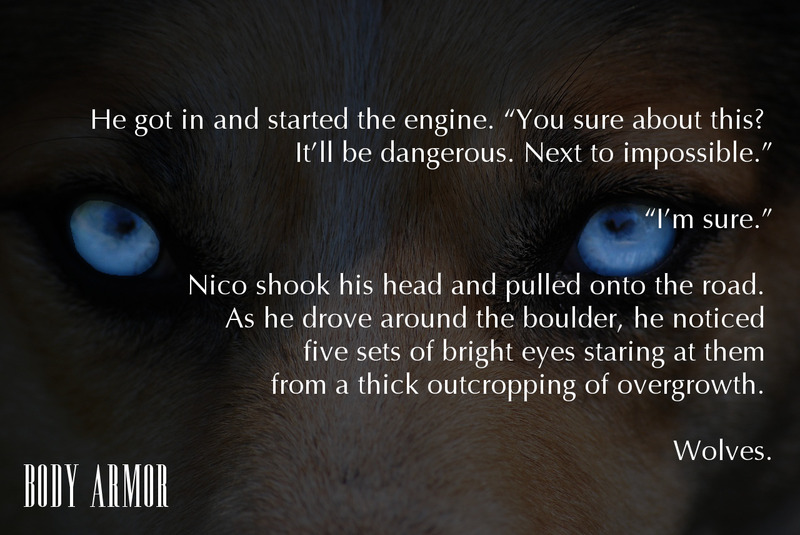 “Do you think Mike’ll be okay with that?” Nico asked. “I hope I can say the same.” They laughed as Coz and Nico headed off to Vinnie’s car. Gianni joined Franki in his. “Before we go anywhere, let’s just enjoy the view of the city for a minute,” she said. 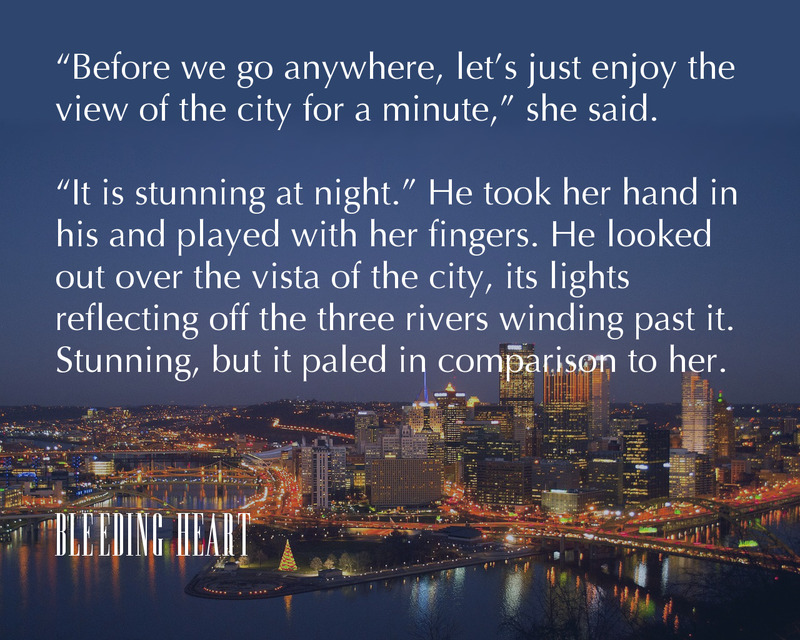 “It is stunning at night.” He took her hand in his and played with her fingers. He looked out over the vista of the city, its lights reflecting off the three rivers winding past it. Stunning, but it paled in comparison to her. Vinnie Falco copes with his own identity issues while he struggles to protect the one prophesized Medici descendant, Jo Notaro, who refuses to embrace her heritage. He and the Brotherhood race across the globe with the charges they’re sworn to protect to discover who plots to destroy them. Both Vinnie and Jo use past hurts as emotional shields. With lives in peril, can they find the strength to overcome their tragic pasts? Before he turned to begin work, their gazes locked. 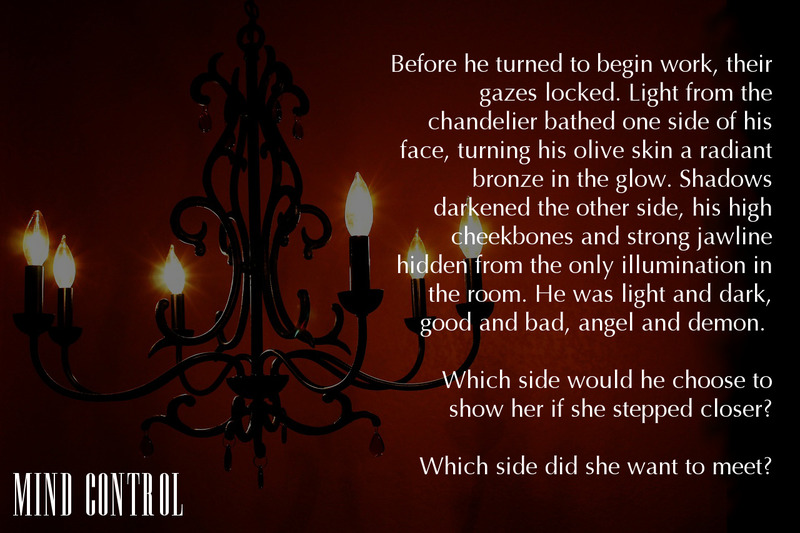 Light from the chandelier bathed one side of his face, turning his olive skin a radiant bronze in the glow. Shadows darkened the other side, his high cheekbones and strong jawline hidden from the only illumination in the room. He was light and dark, good and bad, angel and demon. Which side would he choose to show her if she stepped closer? Which side did she want to meet? He wiped the area and handed the items back to her. His hands lingered a bit before releasing the bottle and rag to her. When their fingers touched, she knew the next part would be the hardest for her to get through. Back at the collection of items she’d gotten out, she grabbed the epoxy putty. “This has to be kneaded until it’s soft and malleable.” She started squeezing it between her fingers. “Soft wasn’t exactly what I had in mind,” he said. He reached over and interlaced his fingers with hers, working the putty with her. The heat of his hands quickly warmed the putty, preparing it for application. Even when it was ready, he didn’t stop. “We only have a three-minute window,” she managed to get out between shallow breaths. “Why do you?” She glared at him. She gave him a sweet smile and walked around the hood of the SUV. Nico shook his head and pulled onto the road. As he drove around the boulder, he noticed five sets of bright eyes staring at them from a thick outcropping of overgrowth. Thanks again, Craig, for hosting me here today. It’s a pleasure to be here. And thanks to the rest of you for indulging me while I shared this brief look at some of my work. As a thank you, I’m offering one commenter a free eBook of their choosing, not just from the Medici Protectorate series (although you can choose one of those), but from any of my works (the complete list can be found by clicking here). Another commenter (US only) will be sent a Medici Protectorate bookmark. Good luck! Oh, one more thing I should mention. This week only, Bleeding Heart is discounted to $.99 and Mind Control to $1.99. Click the links for purchase information. Loved the bookmobile as a kid!! Loved your excerpts, images, and teasers, too. Sounds like a great series, Staci. Thanks, Sue. The tour lasts all week and it’s going to be fun. Thanks for hosting me today, Craig. Thank you, Harmony. Much appreciated! The Medici Protectorate series is wonderful, Staci. I’m eagerly awaiting book 3, having enjoyed the first two. Your love of art shines through in your promo graphics and the work you’ve done on the Story Empire website. And I agree; sending the bookmobile out is exciting and fun! Oh my goodness, Staci. I had forgotten all about the Bookmobile. I too LOVED when it rolled up to our school and couldn’t wait to climb the steps to get inside and see what new adventures awaited. Great post. I love that you are a multi-genre author. Stretching is always good for growing! Thanks for hosting, Craig! Jan, the bookmobile rolling in always made for the best days at school. I’m glad we could bring a good memory back to you. And thanks. I enjoy being a multi-genre author. I don’t think I could ever stick to just one type of story. There are way too many ideas pinging around in my head! Maybe we can form a support group. Maybe we already did. I don’t remember bookmobiles from.my childhood and can’t say if there were any in the past here, but I love the concept. Reading and playing music were my favourite pass times as a child (together with playing the fearless detective) and even if I took a different path with my studies, arts always have a soft spot with me. I love your cover and blurbs! Your books are on my to-read list! That’s wonderful. Thanks for commenting. You know, I never considered that Italy (or any other country, for that matter) might not have the bookmobile at their schools. Honestly, I’m not even sure if my kids had them. I don’t remember us ever talking about them, so I’m going to say that’s a practice that’s fallen by the wayside. To our detriment, I’m afraid. I know you’re a chemist, but I love that arts and sciences meld in your world. I loved the bookmobile when I was younger – always checked out several books. Intriguing teasers, Staci. Very good artwork and covers, Staci. And the premise of your books is a nice angle. I can tell they are very well done! It’s going to be a great week on the Roadshow! Thanks for stopping over, PH. It’s going to be a fun week. Busy, but fun. Yes, it is. I’m trying to make all the rounds today. What an awesome idea this Particularly Bookmobile Day! Do you still have it? Happy Anniversary, Staci! I sent an email but it was returned, Mailer Daemon failure!!!! The excerpts are enticing. Best of luck with your writing and gaining new fans! Once again, all the very best for your birthday! Hi, Carmen. There are still a few Bookmobiles in Idaho, but they’re getting rare. I’m in the middle of transferring my host from one provider to another, and my email is suffering for it. (Horrible timing!) But thank you for commenting! A pity such useful habits die. We never had such a great experience. Lovely to learn about these books and beautiful covers. Shared this on twitter @bakeandwrite. Thank you, Robbie. I appreciate that. This vibrant post is positively enticing me to add all three works to my TBR! Bravo, Staci! And a big thanks to Craig for hosting oday. Thank you, Soooz. So kind of you to say! Thanks, Craig, for the warm welcome. Thank you so much, Natalie! Much appreciated! I miss the bookmobile days. It was always a special treat. 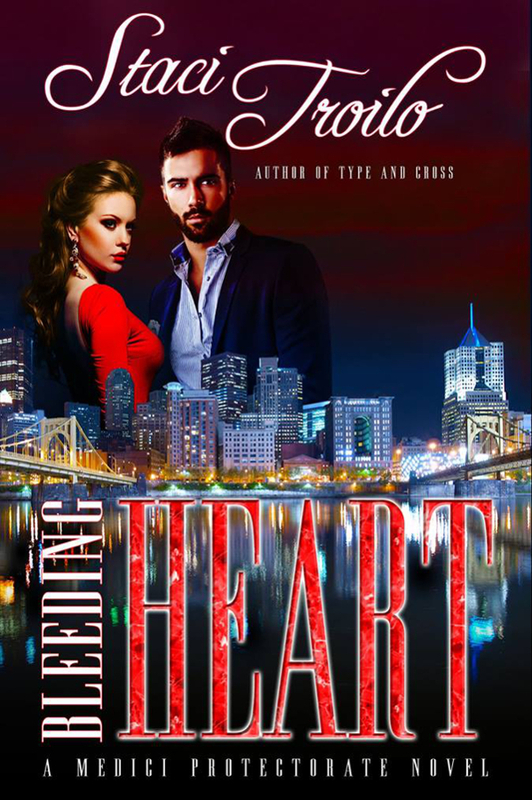 I’m reading (and enjoying) Bleeding Heart right now. Looking forward to the next books in the series. I wish bookmobiles would drive through my neighborhood. I’d be the first one out there! Ah, fond memories of the bookmobile! It was always the best day of the month. Thanks for the excerpts, Staci! I loved Bleeding Heart, and Mind Control is next on my list. Thanks, Julie. The tour has been a blast so far, and many people have fond memories of the bookmobile.